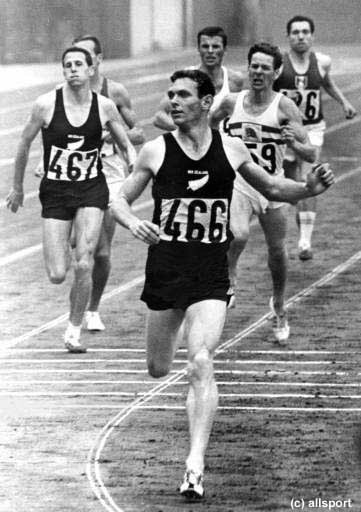 Here’s an interview with Peter Snell, winner of Olympic gold in the 800 (1960, 1964) and 1500 (1964). Lydiard died in 2004. After a talk in Austin, Texas, he returned to his hotel, where he put his feet up and was watching TV, when he had a heart attack. He was 87. Lydiard proved his ideas with results: Olympic medals and world records by runners from New Zealand, Australia, Finland, Africa, Mexico, and the US. To learn more about his ideas, visit the Lydiard Foundation, created by Olympic marathon bronze medalist Lorraine Moller and Nobuya “Nobby” Hashizume, who spent a year training with Lydiard in New Zealand. Peter Snell is now a researcher in exercise physiology at the University of Texas Southwestern Medical Center in Dallas. In the interview, he shares his thoughts on scientific support for Lydiard-style training, and his views of current training systems. In my own training, I’ve stumbled across a handful of ideas that work well. Not surprisingly, they reflect Lydiard’s thinking. For example, I find that the best way to “listen to the body” is by paying attention the subtle feelings of the heart. When we run too fast or too far, the body lets us know with unhappy feelings. Lydiard definitely taught “feeling-based” training – he believed that no coach can dictate what a runner should do on a given day, but that the runner should learn to gauge his readiness through experience and calm, inner feeling. Lydiard said that we should finish each run feeling “pleasantly tired.” There’s a world of meaning in those simple words. “Tired” indicates an effort that nudges us to improve. And “pleasant” reflects his belief that we should never “train to failure,” but should always leave something in the tank. When I follow these simple principles, I enjoy my running and improve. When I go astray, it’s usually because I’ve veered from something that Arthur Lydiard first began teaching, more than 50 years ago. So if you want to get them more adapted for endurance, then you actually have to work at a rate that activates them and makes them work. So I think if someone is just plodding along slowly, they’re just sort of making their muscles, the fibers that are being used to do that, they’re certainly making them maybe a little bit better. But there’s heck of a lot of fibers that are just not called on because the intensity is too low, basically. Q: So there’s the slow-twitch and then the type 2a. Are they typically called fast-twitch? Snell: Yeah, fast-twitch. Type 2 is the fast-twitch. And there’s two types of those, and they’re distinguished by their metabolic properties. And then the type 2b’s, now called type 2x’s, they tend to be a little bit bigger, but they’re recruited last. According to the size principle. The motor neuron that serves those fibers is a larger diameter, and it’s the last to be recruited, activated. Q: And it’s intensity that recruits them. Q: So it would be possible if you had a long, long time to slowly develop them, they wouldn’t do anything. Snell: Yeah. You’d get to them with weight training, for example, or interval training at a reasonable pace. At what pace, I’m not absolutely sure, but I think it’s more than Galloway – at a guess – it’s not good to talk about a max, because someone who’s got a higher max is going to get it at a lower level because maxes are sort of a relative concept. If you’re talking about a certain activity, then you’d say okay, if you’re cycling, for example, then to get to those fibers you would need to do, say, in excess of 200 Watts, for a person of a certain size. Snell: It’s a level of work. So if you’re on a bicycle it’s resistance. Q: So it’s the intensity, not the speed, per se. Snell: Well, speed. Now, speed of running. The faster you are, the higher the intensity. So: slow intervals – low intensity, fast intervals – high intensity. Q: Say one person can run a marathon at 8-minute pace, and another can run a marathon at 6-minute pace. Now, if they want to recruit those type 2x fibers, would the person who can run at 8-minute pace, would they need, say, to run some at a 6-minute pace to recruit them? Or if they start getting really intense, say, at 7:30, do those muscles come into play? Snell: Well, there’s two ways of getting to it. Now, if you’re talking about marathons, it’s different from what’s the minimum amount you can get away with. Which I think is what you started off asking. Now, this relates to why Lydiard training is successful. And I occasionally give talks on why slow running makes you fast. Even in New Zealand now, the feeling is that his ideas are passe. I can’t believe it. I still hold the New Zealand record for 800 meters. Snell: [laughs] Well, that’s right. But, the thing is that, okay, if Lydiard’s stuff is passe, and I’ve held this record for just over 40 years now, in New Zealand, then the others are probably not doing something right. Either that, or I had such wonderful talent that – but I don’t believe that. I think it’s sort of good talent but I did the right training. So. And just a sidebar on this. I just recently was at a conference in Las Vegas where USA Track & Field got together and said, we’re disturbed about the fact that we’re not getting any medals in middle-distance and distance running at the Olympics, and why is this? And someone concluded, when they looked at the Olympics, American runners are getting buried in the last lap. Therefore, we need to teach them how to sprint. So that’s unbelievable. [laughs] There’s not a lack of speed – they’re just running out of gas, and so everyone else is cruising because of the superior endurance, is what that boils down to. So they went through this whole thing where there was Ralph Mann, who’s an Olympic hurdler. And Ralph came, and there was a biomechanics expert, and he came and gave a course on how to sprint. [laughs] And it’s not gonna work! It was interesting, but, anyway, I’m digressing. So, the way that slow running makes you fast is because if you’re doing a moderate pace – and by moderate pace I’m – my experience is 7 minutes a mile or faster, not slow plodding. You have to be moderate, at least. And you run for a sufficient duration, where if you run long enough, eventually the fibers that are being recruited to handle that pace will become depleted of their glycogen stores, and they can’t continue to contract. So other fibers are recruited to take up the slack, to be able to continue the effort. And so – and we have some evidence of this. It wasn’t done with running, it was actually done in cycling. But eventually you get to these type 2 fibers if you run long enough. And so, if you say, okay, I’m only a middle distance runner, therefore I’m only going to run 6 miles, then you don’t get much of a training effect at all. But if you go out as far as, say, the 20 miles occasionally that we did, then you’re really getting in and using those fibers. Now, I don’t have the biopsy data to support that, but I think we can pretty much safely say that much more of your muscle is being trained. And, in a way that I think allows you to recover better than if you were doing the high-intensity stuff. The high-intensity stuff is useful to do later on, because there are other things that get trained as well, such as leg turnover – in particular, that. So essentially there are two ways to get to these type 2x fibers. One is by doing interval training, and one is by doing long-distance running at a moderate, at least moderate, pace. Now, if you’re doing it like these very long distance runners who run somewhere between 8 and 9 minutes a mile pace forever, then they probably never get to those fibers because they’re able to do their exercise utilizing fat as a fuel to a large extent. When you exercise at a higher level, i.e., 7 minutes a mile and faster, then you just can’t do that on fat. Glycogen has to be used, and eventually it becomes depleted in the fibers that are being used. And when that happens, others get called in to take over. Snell: You want to get him to double up in these meets, maybe triple up. Q: Yeah. You want him as fast as possible, as quick as possible. And if that means that a couple years later he’s going to be slower than he could be, there’s just not a system in place to worry about that. Snell: No. What’s surprised me is that, that kid that broke Jim Ryun’s record, I thought he had such talent that, if that was me, I wouldn’t be going to college, up to Michigan. I don’t know how that’s going to work out. Actually, Paul McMullen [winner of the 1996 Olympic Trials 1500] called me on Friday. And I think Paul said eventually said, I’ve gotta go. Because I was kind of lecturing him. [laughs] But he may have wished he never called. But he said he’s this guy’s training partner. I can’t remember the name of this kid. Snell: Alan Webb. And I said Alan shouldn’t be going to college. And I think Paul was trying to say that he shouldn’t have gone to college. Because Alan, right now, is capable of supporting himself very easily. And my wife said, oh yeah, but what about his future, and so on. Well, he’s not going to be able to do a decent job on his degree if he’s training hard. And, so what? You could do it later. I did mine when I was 34. There’s plenty of time to carve out a career. And if it doesn’t work out, say if he gets injured, well, so what? Kids can still go to college. The trouble is, with the athletic scholarship you’ve got an obligation to show up and compete. Which isn’t always in your best interests. Q: I thought when he ran that, that was one of my first thoughts, that if I were in his place I wouldn’t. He could easily have gone to a state school, taken two or three courses at a time, and off-season. That made no sense to me. Snell: That’s right. That would have been the way to do it. Because we were able to do our stuff while working a full-time job. So you need to do something. You don’t want to sit down and just become a runner. So he could have, yeah, right, gone to a state school somewhere and just taken a small load, and made sure he did the right thing by his running and racing. Q: And in one year he could have made enough to, even if he were injured he’d be financially better off than – he could get injured in college and come out and not cash in on anything. Snell: And you are right about this thing, in that there’s a problem in the four years that they are in college, in that their long-term interests are really not being addressed. And then, after they’re out of college, many of them have no – they’re totally lost. They don’t even know how to enter a meet, or how to make arrangements, because that’s all being done for them. Q: With the coming of professionalism, runners have really changed in just sort of how they view themselves, in terms of the sport, in terms of life, and everything. So many US runners today will talk about how they can’t compete against the Kenyans because the Kenyans make all the money, and the US runner has to hold down a job. But I always think about guys like you and Bill Baillie, and all of them, who were running times that, you know, if you were running on the tracks we have today, would be well beyond what most of the western people are doing now, with work on top of it. Snell: Right. My time would have been second in the World Championships at Edmonton last year. And it’s not as though it was a slow tactical race, either. And there was this guy that won and went out in the last lap, so. Yeah, you’re right. Somehow, the athletes are promising but haven’t quite got the – that feel that they can’t quite make it unless they’re full-time, when you ask them what – and we’ve had camps where John McKenzie was chair of the middle distance committee. We used to have camps up in Maine. Where it was teaching, and these were kids that were graduating, they were seniors, graduating, in how to stay in. Because most of them were lost. If you asked them, okay, what can we do for you to help your running career, they would say “Give me a ticket to Europe.” I could never get it. Somehow the perception is that they might luck out and win some money. What about the idea of just staying back and training until you’re good enough to – for the promoters clamoring to get you to come to Europe? It made no sense. Q: If you run for two hours a day, you’re going to have triple-digit weekly mileage. Forty-five minutes on your lunch hour, an hour and 15 after work. And to me it never seemed that excessive. Snell: I didn’t think so, either. It’s not even 2 hours a day. If you can do 15 in about an hour and three quarters. Q: Yeah. When I was young, the option wasn’t there. You were good or you were not good, you still had to think about whether you were going to stay in the sport and wanted to work or not. So, do you think professionalism has made it worse? Do you think that’s a factor? Snell: Well, I think the reason that Paul McMallon wanted to get away and not listen to me was because – it had been about 6 years since we had not seen each other. And I said, well, as a matter of fact, Paul, when we had a camp at San Diego, where we discussed strategy to get better, you were off making money in Hawaii. And so I think it says it right there. That they’re doing things – they’re tempted to go and do these money races, when some other activity might be in their better long-term interests. Q: The Kiwi runners don’t really have that opportunity, do they? There’s not much there, is there? Snell: Right. I can’t say the standard is anything right now. I never saw one Kiwi in Edmonton at all. [something about a 10,000-meter runner] I was seeing him run last. I didn’t see anyone else at all. So most of them didn’t make the finals. Same with the skiing that’s going on right now – haven’t seen one black outfit. I mean, I saw them in the opening ceremony, quite a contingent of New Zealanders. Q: One of the things I’ve always wanted to ask someone who trained with Arthur, and this is probably one of the reasons I decided to call you. But this whole question of the level of intensity on long runs. Because I’ve heard stories from when you guys used to run, when you would do those runs, it sounded like you were going pretty hard. And I think Arthur once, or somebody once told me, Arthur would tell you if you didn’t run your 22-miler in under, what 2:20, you were wasting your time? Snell: Well, that’s probably right. That’s not very fast. That’s 7 minutes a mile. Q: How much effort were they? Were they hard? Were they easy? Moderate? Snell: Well, I enjoyed them. There was a feeling of satisfaction and accomplishment from completing those. And it’s not hard if you’re doing them at 7. And so eventually you’d be running them at 6. So you’d be doing, say, 2 hours 12. So that would be 6 minutes a mile. But nothing faster than that. I hear a lot of stories – well, at Las Vegas, Said Aouita, he ran his stuff pretty damn fast, much faster than I ever ran mine. Five minutes a mile would be the pace for some of his distance runs. I mean, that’s my racing pace essentially for a 10K. I think the basic rule I like to think of is that you would start off, say, after track season, you’d be prepared to run sort of in the range of 7, 7 and a half minutes a mile, just so that you transition without pushing it too hard. Seven and a half minutes a mile was fine. And then you’d get into the sort of distance that you wanted to, and then you’d start running it a bit faster. And because you would be running sort of alternating longer and shorter runs, then you could actually carry a higher pace in the shorter runs and maybe you do your longer runs a little slower. And in that way you would get a mix of speeds that you could, then, handle. Q: But he did emphasize that you were supposed to have some effort in it? Snell: Well, he – when I was involved with him, he wisely assigned me to a training partner that wasn’t going to try and dump on me. That wasn’t the feeling. He didn’t have an ego so he’d need to sort of demonstrate any superiority. And that was great. And so he was concerned about people who would be getting out and just sort of racing their training and running too hard. And on the other hand, though, he was concerned, there was some concern about those who were just plodding along at a slow pace. So, when he occasionally got out and ran, it was usually [laughs] pretty brisk. No messing around. And so Arthur’s running would be at least 7 minutes a mile. And, yeah, I think that’s about right. It’s not that fast, it’s doable for most good runners, and you come back able to do it again the next day. Q: If a person were going to err on a long run, going a little too fast or going too slow, which is worse? Snell: Well, I think – the way it worked with me, if I ran too fast then I would know about it towards the end of the run, and it wouldn’t be very pleasant. And I’d learn from that. [laughs] And a one-off mistake I don’t think matters. But you learn, and then you adjust according to your experience. If you’re able to handle it, and you’re okay the next day, then it’s not too fast. The trouble is – I mean, slow is all right, but ultimately the goal is to – if I’m talking now about muscle fibers, if you’re running slowly you’re just not getting as much conditioning on muscle fibers as you would be if you were running faster. Snell: It’s much more difficult and challenging when you get older. Not only for the individual but for the people who’re coaching and advising. You’ve got to be so careful, because of the injury potential, and you can’t make mistakes quite as freely, dealing with older people. Q: So, when you make the adjustment, would you be better off doing less on intervening days, or slowing everything down altogether? Let’s say you’re young, you run the 100-mile week with the 20 on Sunday, the 10 – you do it at, say, a 7-minute pace. Now it’s 15 years later and you don’t recover as quickly from your 20. Are you better off, do you think, instead of running 10 the next day, shortening it to 5 and holding at the 7-ish-minute pace? Or are you better keeping the volume up and slowing the pace down on each run so that you can keep the volume up? Q: Well, I’ll tell you for myself what I’ve found. Because I always did big miles, and did real big miles at certain times. As I got older, I could still do them, but the stiffness every day just got to the point where it just got slower and slower and slower. So I could keep doing it, and I could keep doing it in a way that I didn’t get injured. But I think overall it did take a toll. Now I do less on the intervening days. I mean, I can feel the difference. I haven’t raced much, so I don’t know what it’s done performance-wise. Snell: Okay, it may be you’re right. Here’s something that can relate to that. 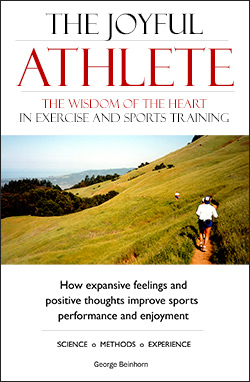 Once you have made the sort of maximal adaptation to the heart through prolonged running, then you can maintain the performance of the heart with relatively little training. The reason – I knew that before any studies were ever done on this, because basically of what happened in my case, I did a VO2Max test in San Diego in 1965, got a certain number. When I came to Dallas I had another test – well, I had tests in between and essentially there was no decrement in spite of a greatly reduced training load. I arrived in Dallas in 1981, tested at the Aerobics Center, exactly the same numbers. But if I tried to run a mile, I wouldn’t be running anywhere near 4 minutes, which is what I was able to do in 1965. So there was quite a surprise when I first saw it. Actually, I first saw it in 1974 when I came over here to go to school. No difference from 1965. So, therefore, if your aerobic capacity as reflected in your VO2Max is still high, then the distinction, the difference in performance is due to muscle factors. And so you can train muscles by doing intervals. And as long as you can sort of tolerate the intervals, then they should work. So there’s not quite the same need to do the long distance stuff. You can revert back to getting the work – base-paced type work – through intervals. And that’s kind of what’s happening in a very slow version [in his personal exercise], right now. Really, it’s impossible to run continuously at any respectable pace. ?? I never thought one would be able to be slow at 8 minutes a mile pace, but it’s happening. And so intervals is the only way out of that. Snell: Well, people who run are so much better than the average population. I.e., they did a very big study not too long ago ?? the mean VO2Max for me, these were 52 average age, but the VO2Max was 28. And that’s equivalent to about 5½ miles an hour jogging. So that’s sort of about 11 minutes a mile, or close to that. 60 divided by 5.5. And that’s pathetic. That’s their max. I mean, we will never be that slow, I don’t think. And women, it’s worse. Women it was equivalent to something like – their max, walking, at about 4½ miles an hour. There’s quite a difference between the energy cost of walking and jogging. If you start getting into the jogging mode and lifting your center of gravity, energetically its not as efficient as walking. Eventually I suppose you’ve got to get to the stage – and, I’m really trying to understand what is going on. And I’m concluding, so far, it’s not the ?? capacity of the heart to pump, which is still pretty strong in spite of declining heart rate as you get older, it’s more muscle conditioning. Q: And yet I’ve found – if you have any ideas about this I’d love to hear them. The two times in recent years when I’ve gotten serious about doing some races. And I start putting formal intervals in my running. And, in doing that, I added – added, not took off – about 5 minutes to my 10,000-meter time. I’ve had this experience a few times. Snell: So it actually made you worse. Q: It made me worse. I mean, I was getting slower and slower anyway, and I thought okay, we’re going to get serious and put intervals in. And then I got worse. I’ve never been able to come up with an explanation for that. Snell: Well, how hard were your intervals? Q: I started off – this wasn’t on the track, this was on the roads, so the measurements might not be – I started off with about 12x 400 at about 90 seconds. With, I think I was taking a minute recovery, jogging. And I worked that up to where I was doing 16 of those. Snell: That’s a pretty heavy dose. I think. Q: And then I would do a fartlek session in the week, as well. Snell: So that’s 6-minute-mile pace in your intervals. And you were racing at what pace? Probably not 6 minutes a mile pace. Q: Nowhere near it. I had been running like 43, 44 for 10,000 at the time. And I ended up, after all the interval stuff, up at around 48. Snell: Yeah. So it might make more sense to have done something a little bit more base pace-related. Q: I probably did harder than I should have. I was trying to get under 40 again. I could once run 32, 34 for that distance. That was my last fling at trying to get under 40 minutes. Snell: That’s like 4 miles at 6 minutes a mile pace, which is pretty demanding. Snell: No one’s been able to articulate why that is, other than Robert Vaughan(?) said well, you get used to dealing with high levels of lactic acid. Well, that’s not a good idea, because that’s going to push you toward a state of being overtrained, if you’re going to be having high lac-rates. Yeah, I would think even after 90 seconds, a minute recovery isn’t a hell of a lot. I always liked just easy jogging a quarter after doing those. That’s how I sort of handled those sorts of long intervals, and making the transition between distance running and track running. I’d do something like 20 quarters in 65, and I had a full quarter jog in between. So actually that was like a 10-mile run. Q: Did you take a quarter jog between quarters? Snell: Mm-hm. Yup. And if I was doing work for the 800 meters, I would actually lie down and take a rest until I felt like doing another one. Q: Isn’t that what Gerschler used to do, would make people lie down? And that’s probably a good idea. But I don’t know that it works. I think that because – I think the heart remodels itself to get bigger, as a result of lengthy periods of a high volume of blood coming back and making it – pumped on the venous side. Yeah, that is totally the difference between an individual who’s got a high VO2Max versus someone who is low, is the performance of the heart. And that’s simply a case of how big the heart can dilate during its relaxation phase. Because people of the same age generally have the same maximal heart rate. So it’s how much is being pumped with each beat. How much is being pumped with each beat depends on the extent to which it fills during diastole. So people that do prolonged exercise, like runners and cyclists – but actually I’ve always thought that maybe cyclists should have the biggest hearts, because they can do 5 hours at a fairly decent pace, and we can only do a couple of hours before our joints, legs crap out on us. Q: Have you tested that? Snell: I think generally cyclists do have bigger, but it’s a small difference. So maybe after a couple of hours or so. And then the other thing is, and some of the literature doesn’t say this – once you have stretched the – the constriction of the heart from dilating is a fiber sac called the pericardium. And my mentor had heart disease while I was doing my PhD thing. And the pericardium was cut, and it almost overnight gave him a bigger, allowed his heart to expand more. So in the process of training, that fiber-sac pericardium needs to remodel to allow the heart to get bigger. And once that’s happened, once the pericardium’s been stretched, it doesn’t spring back unless you do absolutely nothing. So you can maintain that with somewhat modest activity. And that’s why I think that it’s – the changes that are going on that are reducing your performance, they’re not the heart not performing as well. Even though – even though you may think “Oh, I’m breathless.” But being breathless is really feedback from how the muscles are doing. So it doesn’t necessarily mean it’s a cardiovascular problem at all. Q: Shouldn’t triathletes then be the fittest people on earth, because they both run and spend all that time on the bike? Snell: Well, cross-training enables you to do more cardiovascular work, if that’s what you mean. But maybe – that’s why I thought cyclists who can go for 5 hours. And then there is some suggestion that cross-country skiers, because they’re getting more total muscle mass in the action, would be better. But that, really – we’ve actually tested that. And, if anything, it’s a small effect. Now, the cross-training would just allow the person to do more, but I don’t know, maybe what most good runners do is enough. There’s all sorts of data that here’s the elite person who’s probably able to do enough with their running, down to someone who’s pretty poor, down here, they may benefit greatly from cross-training because they can’t do enough running. I’m sort of speculating. And then, ultimately, though, you really want to do work on the muscles that are going to be involved. And probably, in your case, it may be a combination of maybe running a little bit too fast, and not enough recovery. And you may have well have been somewhat overtrained. Overused, yeah. Q: With what you know now, with all your years of research, if you knew all this in your twenties, if you were back competing at the high international level, is there anything you’d do differently? Snell: [thinks a long moment] I think I would – with the Lydiard system, we actually, after the track season was over, actually became just distance runners. I think I would retain a certain – I would build in one day a week of intervals, 300 or 400 meters. But I think I was overtrained and tired, and not fresh. [laughs] And within a month, things were totally different. Q: Have you ever talked with him about what you’ve learned, compared to what you did then? Snell: No one is going to change Arthur’s – so I’m not even attempting to do that. I came to just use what I know to reinforce the merits of Arthur’s stuff. The only thing that bothers me a little bit is that I think he is exaggerating a bit now. And I hear that – well, I know exactly what I’ve done in training. And I think Arthur has been saying that the 100 miles a week I did was single training runs, but if you added the ?? it was a lot more, when there was a suggestion that more training was supposed to be better. And then he said, yeah, that’s what our guys did. But that’s just not correct. When we trained, we counted every step [laughs], essentially. Snell: Mostly, it was not 100 miles a week, actually. Mostly it wasn’t. It turned out that the best season I had, I believe, was preceded by a fairly heavy dose of 100, done at a reasonably good pace. Q: For 10 weeks, was it? Q: Like in a year, roughly how many miles would you run? Did you ever check that? Q: Yeah, I know that one, too. Snell: Yeah. So, I don’t know. In the summertime it was probably not a lot of mileage. I used to try to do a long run of at least 10 or 12 even during the track season. But not a hell of a lot, once you started racing. A few intervals here. But probably in the wintertime I believe the average was 70 or 80. Something in that range. Q: Do you see him much anymore, talk to him? Snell: Yeah, quite a lot. I attempt to see him every time I go back to New Zealand. If not see him, at least certainly give him a call. And I get back at least twice a year. Snell: …background of conditioning. And as long as you were careful about blending on the intervals and so on, didn’t run yourself into the ground, just about anything would work. And there was nothing that magic about the three-month schedule, at all. It was all conditioning. So that was sort of one thing. And actually I had a training partner who was also an independent thinker and became a coach. And word got back to Arthur that we didn’t think his training – and so he basically confronted me and said, well, make up your mind who’s going to be coaching. Q: Who was the coach? Snell: A guy called Don McFarquhar(?). He went on and became a good coach. He is really an Arthur disciple, but I guess he also was ?? It’s really the conditioning that’s the important thing, and if you get that in, then there’s a variety of work that you can do which will result in success. And actually I decided one year that I was going to do this schedule. And because of the Olympics and various things that had come up before, I’d never really done it. And, unfortunately, I ran almost a 4-minute mile in the first couple of weeks, when I was supposed to be nowhere near that form. Then ran a world record in summer about halfway through what was supposed to be the schedule that was designed to create peak form after three months. Q: So that argues more for your side, really. Snell: Yeah, right, I think so. Yeah. I think the schedules were – I don’t know, I don’t really know what to think about them. There’s nothing magic about them at all. Q: I had a variation, where I’d run really big miles in the summer. And come the fall, with the cooler weather and having to work shorter days and all that, I’d drop the amount that I did and run harder, and that always seemed to work well. I didn’t know what I was doing – to me it was sort of a variation of his system. Sometimes I’d do intervals, sometimes I wouldn’t, sometimes I’d run hills, sometimes I wouldn’t. To me, it just seemed when I got into a phase when the weather was cooler and I’d run harder, I’d pay more attention to running hard and less attention to running long, I could run well off it for a while. And it didn’t really seem to matter how I broke it up. I never became international-class, so maybe I was missing something. But probably there are a load of different ways you can slice an apple. When you were running in your best years, did you ever think about what you’d be doing when you were 50, 60? Would it have surprised you if you found out you would still be involved in some sort of competition that involved running? Snell: You mean the orienteering stuff? Snell: I have – I don’t think 20-year-olds [laughs], people in their early 20s, really look ahead at all too much. I imagined that I’d always be doing something pretty active. I thought – I had played a lot of games. Q: You were a good athlete, as I recall. Snell: And I never really enjoyed running that much. It was a vehicle for achievement. In fact, I probably would rather have done it in tennis or some other activity. But running was – and running did have an appeal. It’s a very basic activity. And the way that you could actually – it’s different from developing skills – you’re developing basically physical ability. Apart from honing skills. And so it’s sort of more of a basic, I was going to say pure form. And then the Olympics, that of course was very appealing. But running was all just sort of a means to this achievement. And when it was over I pretty much didn’t run much for a while. But there was some of the intrinsic value about being able to run that I haven’t experienced for a few years. But being able to run hard and feel effortless, and so on, that’s a pretty good feeling to have. Q: Yeah. It is. Even when it’s slower than it used to be. Snell: [laughs] Yeah. So there’s that part of it. Now, what I could never have imagined is that I’d have had this academic career. That’s the more dominating thing. And I’m sadly – well, not sadly, I don’t really care too much – well, I do care. But most New Zealanders still think of me as the Olympic champion. I think the best message that I can impart to New Zealand kids is that if you screw up as a teenager, like I did academically, and was pretty much relegated to a humdrum-type career, either as a salesman or something without too many qualifications. And the feeling about yourself is that you are somehow not as intelligent as someone else. That that’s a bad message. 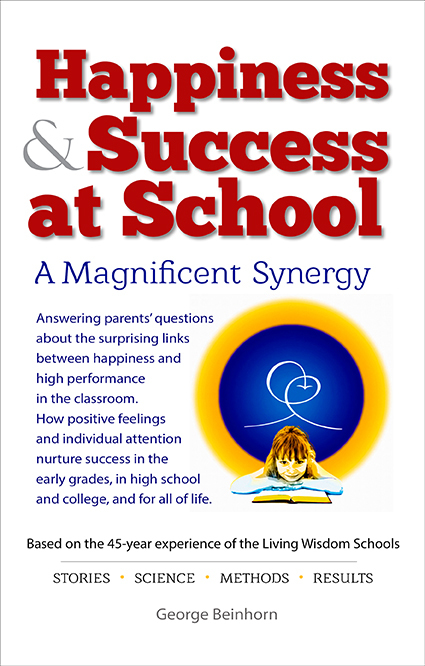 It doesn’t – your performance in high school doesn’t necessarily reflect intelligence at all, but your interest in the material, and the other distractions you’ve got. And somehow I didn’t understand that until I was in my thirties. And once I did, then it was full steam ahead. I had a degree and a PhD and an academic career. Q: Do you have a pure research job? Or do you teach? Snell: I don’t teach at all. I’m pure research. I get invited for guest lectures. But there’s a huge faculty where I am, in the medical school, so there are not as many opportunities to teach. I’m not sure I miss having to teach. Q: Your academics has always been focused on physical performance? Snell: Well, it started off being that way. And then now I’m interested in aging. Q: Natural aging? Or performance as you age? Snell: Well, some of the things like adult-onset diabetes, for example. ?? diabetes, they’re talking about everything else except exercise. And exercise is very powerful therapy for that. So we have another study we’re proposing to take a look at that. Q: Do you have pretty much a free hand in what you want to look at? Snell: Yeah. Absolutely. Totally free. I’m in trouble if I don’t get funding, so that’s pretty much the bottom line. But I can do pretty much what I like. I’ve got no one really looking over my shoulder except, “Well, it’s been a while since you’ve published anything, and I don’t see any grant support” [laughs]. That’s the only thing that would get the attention of the department chairman. But then, on the other hand, they cut me a lot of slack because of my Olympic notoriety, too. They like that. I’m always being asked to comment on things by our news and publications department. There’s a big interest in fitness issues. The latest one, for example, was in the New York Times last week. It said, why is it that some people do not improve their fitness with exercise? Q: I read about that. I was going to ask you about that. Snell: Okay. So, I was sent the article by ABC News. And I took a look at it. And it turned out that the basis of the article was an interview with Claude Bouchard, who’s interested in genetics, individual differences. And he is correct. It’s clear, as you would know, too – two people can do the same sort of training, and one will go on to the Olympics. Q: I would know that. Yeah. Snell: And so there’s got to be some reason for this difference in responsiveness. And that’s what Claude is interested in. But, unfortunately, the study that he and his colleagues did. They had this Heritage family study that they were trying to come up with the genes that would account for the difference in response to training. And so they basically trained about 500 people at different centers. But the problem is that the way that they decided to do the training was flawed. And so I wrote back to this guy and said, unfortunately, the reason that – there were something like about 87 out of 400 that got virtually minimal improvement with the training program – is that they didn’t do it right. They did it on the basis of the heart rate response. And normally when – that’s been done in the past, but normally you figure out a percent of VO2Max that you want to do the training at, say around about 70, and then look at what the heart rate is, and that guides you as to the pace that you need to do in your workouts. But what they decided to do was use these bicycles where you wore a heart rate monitor and it would adjust the load. So that the heart rate that you dialed in that was associated with a certain VO2Max would be kept constant. What happens when you do that is, depending on how responsive your heart rate is, that you can actually get the – the bicycle ramps up and ramps up until the heart rate is up there and it actually overshoots, usually, the load. And so then the load has to come back down again, otherwise the heart rate continues to rise. So the load is going up, and the heart rate is going up, and the load gets ahead because the heart rate is a little behind. So finally the heart rate gets up here, and the load’s up here, and then the heart rate continues to rise, and as the load comes down the heart rate still – and the load can get quite low, until you get to the stage where not much training is being done. And so I just flat out said, this study wasn’t peer reviewed properly. They didn’t understand. And they said they were training at 75% VO2Max. Well, that’s crap – they were training at the heart rate that was equivalent to 75% VO2Max during their ?? study. And so it’s entirely possible that people weren’t being properly trained. Q: I can’t critique the study, obviously. But you take a sedentary person, you send them out to try to run a mile, they can’t do it. If you talk them into going out every day, running and walking, eventually they’ll run a mile. Or 2 miles. And there’s no one who can’t do that. So I thought – yeah, I did want to ask you about that. Q: Speaking of physiology, as I read through the running magazines these days, it seems that a lot of the physiologists who are writing, Owen Anderson and David Martin come to mind, I’m sure there are others – have a real bias toward not doing that many miles, toward race-specific training. Snell: Yeah, they hate it. Q: Have you noticed that? Q: Are they making the same sort of error, like the Times did? Where’s that coming from? Snell: Just about every scientist I know cannot understand why slow running works. It just doesn’t seem to fit their – I suppose they’re brought up on the concept of specificity – if you’re going to be a middle distance runner, you need to be doing something that’s related to the demands of your event. These are sort of cornerstones of coaching and so on. And then, why would you run slowly? And I’ve seen some very derogatory statements by scientists about long, slow running. Very derogatory. And I’m trying to be equally derogatory back. Q: Good. Because one of the earlier articles I wrote, I sort of laid into Anderson on that. And one of the things I wrote, thinking about this from the perspective of psychology. He goes off to Kenya frequently. And there was one article he had written, where he said, one of the concluding sentences was that if you want to maximize your time at 5 and 10 kilometers, train like a Kenyan, on high-intensity, low-volume training. And I was writing and commenting on this, and saying, I don’t know what Kenyans he’s looking at, because by his own report he went to their camps, where they get up at 6 in the morning and they run 6 or 7 miles. Then they come back at 10 o’clock and they run 5 or 6 miles. Then they do killer intervals for 4 miles or so. And then they come back and run a moderate 9 miles at 4 in the afternoon. Q: And, where does he see – where’s low volume in all of that? Snell: Yeah. Right. He’s picking out bits and pieces. Q: Yeah, and I said, psychologically, that’s what people do. You have your mind set that this is what matters, and that’s what you notice. And the other stuff – if you and I found that the Kenyans played soccer in the afternoon for an hour and a half, we might not pay attention to that as having something to do with how they run. And I think that’s what he does. He sees them running 7-minute miles and, well, it just doesn’t register. Snell: “It’s not training.” And Sebastian Coe, I think there’s been some misinformation about what he actually did, too. Now, if you can get away with doing intervals without a base, fine. But the whole idea about base training – well, it’s actually not the whole idea – one idea is that you can get to these fast-twitch fibers by the process of glycogen depletion. And then it seems that you can actually handle more intervals down the line without becoming overtrained, with that base. So that’s the dual benefit. But the trouble is with people like Owen, they’re writing these columns, and they’ve got a readership, they’ve got to come up with something new. And I guess the pressure is to try and do that. But it’s ironical, isn’t it? When you think – here we have a good standard of living, a fantastic talent pool. I mean, if you took high school athletes here and put them up against anywhere in the world they’d be pretty darn good. University scholarships, fantastic sports science. But no meets. And no – no meets for distance runners.